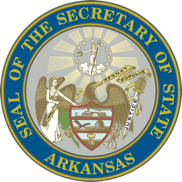 Below is a list of links to simplify filing and searching UCC documents with the Arkansas Secretary of State's Office. Online services are provided by the Arkansas Secretary of State's Office in conjunction with the Information Network of Arkansas. Filing tips along with UCC fees are also listed below. For more information email ucc@sos.arkansas.gov or call 1-888-233-0325. Be sure to present names as individuals or organizations. Include mailing address and organization information if applicable. Debtor and Secured Party names will be entered into the Commercial Services system exactly as they are presented to the filing office. Use form UCC-11 to request a search or search online. Mark only one (1) action per UCC-3 form submitted with the proper filing fee. This service is available online. All filings must be submitted on letter size paper with all information showing on the front of the papers only. Check the Frequently Asked Questions (FAQs) section for answers to those questions we get asked most often. *Each additional page is $0.50 up to a maximum of $100.